Pierate - Pie Reviews: British Pie Awards 2015 go Gluten Free! 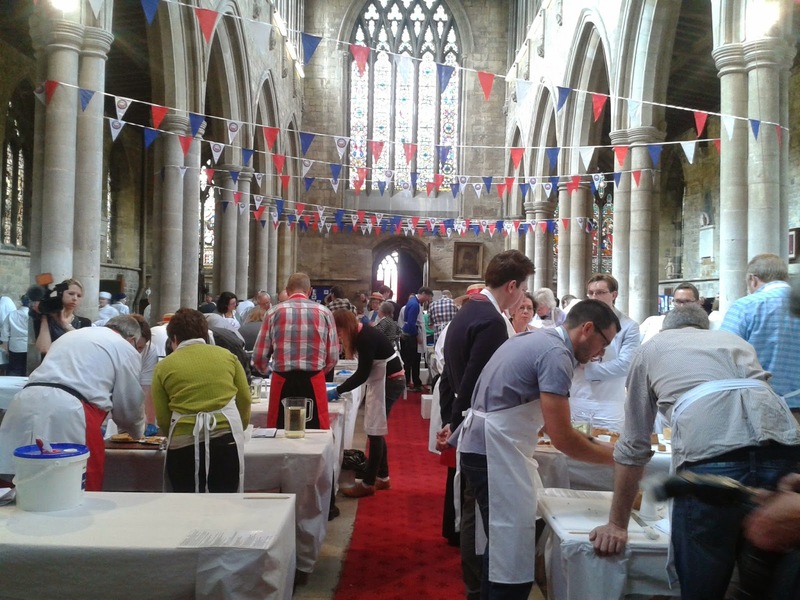 Pie Rating at the British Pie Awards 2014! The British Pie Awards 2015 are just days away and with them once again expecting 800 pies from across Britain and beyond to be rated, you won't be surprised to know we've been called up again this year, having been a judge at the British Pie Awards last year and volunteer helpers at the awards in 2013. After all, we have just reached our 500th pie review on Pierate Pie Reviews, meaning we've probably rated as many pies as all the other judges put together! Find out more about the Pierateers as we reach 500 Pie Reviews in our story so far or on our "About Us" page! 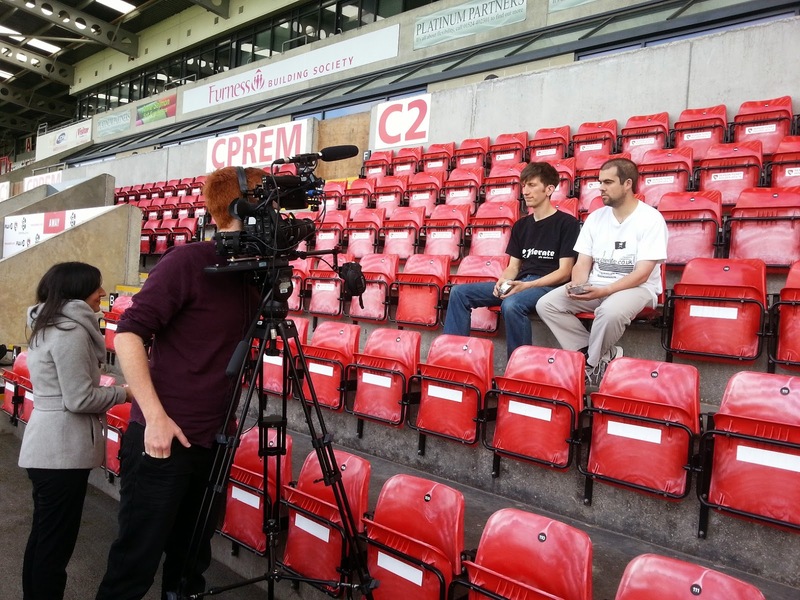 Right: Filming with BBC Sport about pies! But you may not know that since 4th October 2013 we have also had a gluten free pie reviewer aboard the Pierate Ship, in the form of Pierateer ALE. In this time she has reviewed 10 different gluten free pies from a number of different companies and you can see all the gluten free pie reviews here. But why am I telling you this? Well, because that clever team at the British Pie Awards have finally recognised the great skill and art required to make a top rated gluten free pie, as evidenced by the fact that there will for the first time be a Gluten Free Pie Class at the British Pie Awards 2015! Of course you may not want to wait to find out who rates well in the Gluten Free Pie Class, so we've summarised our top rated gluten free pies in a number of flavours to whet your ap-pie-tite and hope to find out about even more great gluten free pie sellers when the BPA results are announced! Enjoy! The results are out! Find out who won the Gluten Free Pie Class in our British Pie Awards 2015 review! "To summarise, this is a fantastic pie! It doesn't just beat the other mince pies I have scored, it is infact the best shop brought mince pie i have ever tasted, including gluten ones (before I was diagnosed as a coeliac)!! So if you're Gluten Free, or you know someone who is, don't hesitate to go out to Marks and Spencer and buy a box of these shining stars!" "In conclusion, the pastry on these pies is probably gluten free world class! Like nothing I have ever tried before and will probably try again. It was so light, beautifully golden and deliciously tasty. Thank you Foodamentalists." "My first thoughts were that they were well presented - the pie even had writing on the top which is pretty smart! ... The pastry was soft, very crumbly and tasted like pastry we make at home, a bit floury."